A Restful Nights Sleep For You, Right Here. 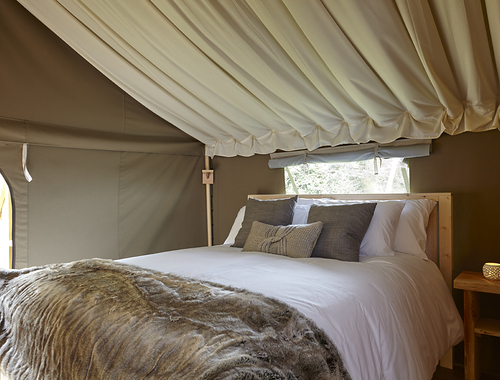 Your glamping holiday with us is all about comfort. There are three bedrooms, two doubles each having king-sized beds, one of which can be split into twin beds. 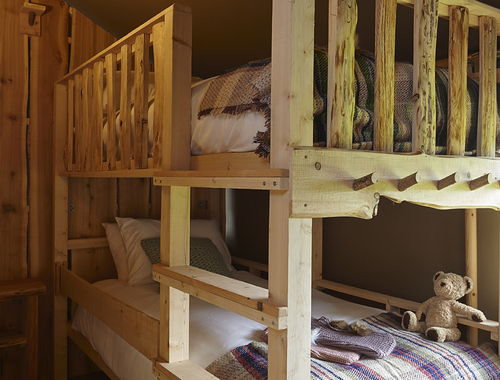 The bunkroom with extra long bunkbeds and increased head-height is suitable for adults. The bottom bunk has a removable safety bar for small children. The double sofa-bed is within the living area and makes for a cosy sleeping space having wonderful sunrise views! All doors and windows have privacy blinds. Each bedroom has clothes hanging space, a gorgeous mirror & bedside tables. We added under bed storage, still leaving room for your suitcase which can be hidden under the beds so you never think of leaving! 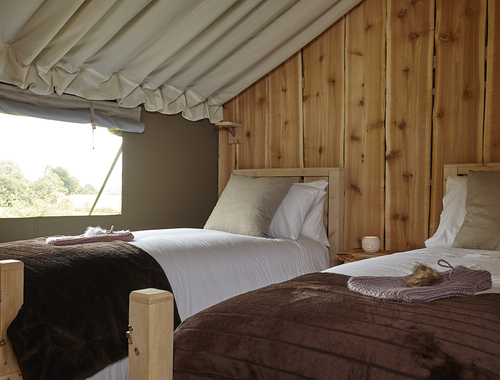 The bedrooms of the lodge can be separated from the main area by a heavy curtain to create a cosier atmosphere for early sleepers and late night Monopoly players.